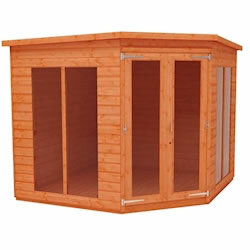 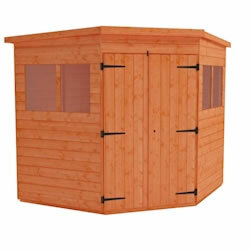 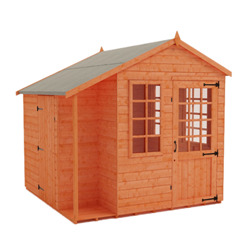 Buy your cheap 8x8 wooden sheds from Tiger Sheds. 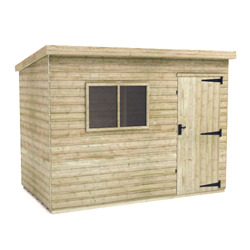 We specialise in making high quality 8x8 garden sheds with a range of styles available. 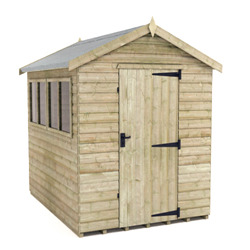 Buy online or over the telephone and receive free delivery. 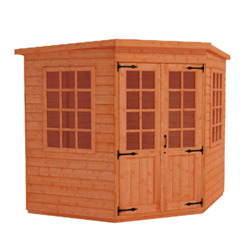 These buildings are manufactured to the highest quality – with fully boarded roof and floors, extra thick cladding a framing, and high eaves these 8x8 sheds are cannot be matched. 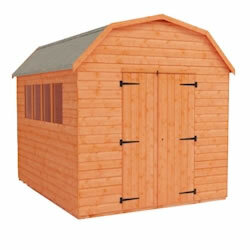 Superior Grade 12mm Finish Shiplap T&G Cladding.